While very few individual students would struggle with all four of the issues we addressed in this symposium, most if not all educators who run university programs must make decisions about how all of these issues influence the design of their programs. We were able to attract a modest audience, many of whom stayed for the entire symposium. We had originally planned to spend our 2.5 hour block with thirty minutes for each presentation with thirty minutes left over at the end for general discussion. However, interest in each talk was so high that the respective Q&A times took longer and we had no time for the final discussion. All in all, it was a great experience and a valuable interaction. 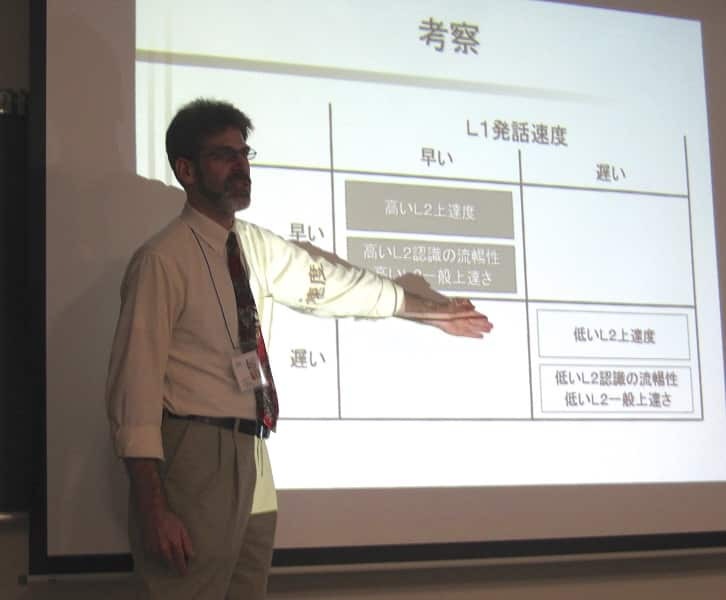 You can download the symposium paper here (in Japanese) and the slides for my presentation here (also in Japanese). The conference itself was one of those mammoth conferences with hundreds of (more than a thousand?) oral and poster presentations. Everything was run very professionally with strict attention to the clock in order to keep events synchronized all over the Ryukyu University campus where the conference was held. It was yet another stimulating experience.